The one woman he will never forget…Malcolm Bevingstoke, Duke of Haven, has lived the last three years in self-imposed solitude, paying the price for a mistake he can never reverse and a love he lost forever. The dukedom does not wait, however, and Haven requires an heir, which means he must find himself a wife by summer’s end. There is only one problem—he already has one. The one man she will never forgive…After years in exile, Seraphina, Duchess of Haven, returns to London with a single goal—to reclaim the life she left and find happiness, unencumbered by the man who broke her heart. Haven offers her a deal; Sera can have her freedom, just as soon as she finds her replacement…which requires her to spend the summer in close quarters with the husband she does not want, but somehow cannot resist. 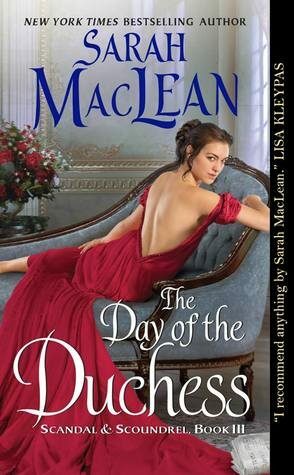 A love that neither can deny…The duke has a single summer to woo his wife and convince her that, despite their broken past, he can give her forever, making every day The Day of the Duchess. SPOILER FREE!! Also a mess but then again when are they not when I have too many feelings. I LOVEEEDD THIS SO MUCH!!! What’s it about: Seraphina, Duchess of Haven left her husband Malcom the Duke of Haven two years, seven months ago. She left without a trace and Malcom has spent this time searching for her, hating himself. Sera after losing the man she loved and then the only thing that connected him to her left her family and went to America. While Malcom spent the last years going over the past again and again. Sera was thinking of the future and she’s back in England, asking Malcom for a divorce. Malcom doesn’t want a divorce he wants his wife back so he decides to woo her back by asking her to pick her successor (really Malcom?! the man was desperate though). “Past is prologue, Angel. I think of it every day” ~ Malcom, Duke of Haven. I honestly wasn’t expecting much from Malcom, I know it’s sad since he’s the hero but after his behaviour in the first book of this series Rogue Not Taken. I had pretty much written him off and read this only because I wanted to see Sera get her happy ending so I was very surprised (in a good way) that he turned out to be more than expected and that he had loved Sera from the start (how can anyone not fall in love with Sera though?? She’s amazing) and his behaviour while heartbreaking and disappointing came from a place of betrayal and it was understandable (I’m not absolving him from what he did but I did understand the why of it). I already loved Sera and this book made me love her even more, she took what was offered and become stronger and more independent. Now the only thing standing between her and the future she wants is Malcom. I really loved them both. They were adorable, heartbreaking, frustrating and so much in love. I have so many favourite scenes/lines from this book. Their relationship wasn’t easy, it was messy and heartbreaking but also beautiful. They were prefect for each other from they the moment they had met and I loved it that Malcom realised from that moment that she would be his duchess. Falling in love was easier than dealing with the aftermath of said love when Malcom who thought Sera had loved him for the man he was instead of his title and feels betrayed when he finds that might not have been the case while Seraphina pays a huge price for finally asking something/someone for herself and ends up losing what she had with Malcom. Their reunion was also extremely satisfying, I loved the underwater scene and gahh it just made so happy to see them happy and I loved it when they finally got back together and that epilogue man heart eyes for days!! He’d ached for her years. She filled him, stifled him, stole his breath, marking his chest with her lilting, sad song, as surely as if she’d extracted a blade and carved it herself, drawing blood like a siren. ~ Malcom, Duke of Haven. We get to see flashbacks of how they fell in love and how everything went wrong and it’s was very heartbreaking. I cried a lot while reading this (and while re-reading it!!) We get to see both their sides of the events that followed and why they made the decisions they did. I think that’s what it made it so great because you see how much they had loved each other (and still did). Malcom is so desperate, he hadn’t realised before she got hurt that it didn’t matter what had happened he couldn’t loose her and still loved her but it was too late for Sera, who decides to leave. I loved that we saw Malcom trying to woo her again (even though his plan needed a lot of work) apologising for his mistakes and his behaviour. It makes me immensely happy to see good grovel done by men who wronged their significant others. I loved it that Seraphina didn’t back down but gave as good as she got and I really loved her. She loved so much, her family, her husband, her child and when it all came crashing down she decides to what she wants which was singing. Instead of doing what she had done in the past living her life and behaving a certain way for her family and then later for her husband. 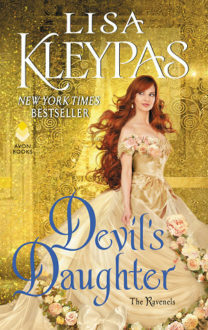 “I am yours….Shepherd, duke, rat catcher…whatever you wish”~ Seraphina, Duchess of Haven. It was also great seeing Seraphina’s sisters, their antics are as always hilarious and they are just a bunch of lovely, unique to the time period women who you can’t help but love and I can’t wait to read ”the American” and Sesily’s story! This is coming from her person who hates reading about a cheating in any way I usually avoid those book like the plague so for me to love this book so much was a welcome surprise and I don’t regret giving this one a shot at all. Wrapping it up, I went into this just caring for Sera because I wasn’t a fan of Malcom at all but Sarah MacLean did an excellent job at redeeming him and making their relationship work. I ended up really loving both of them together and was immensely happy that they got their HEA. <3 <3 <3 A favourite of 2017 for sure!!! It’s a fantastic story of second chance love filled with passion, love, heart break and it’s beautifully written! *Quotes taken from ARC version, they might be different in print.